Who says simple can't be perfect? 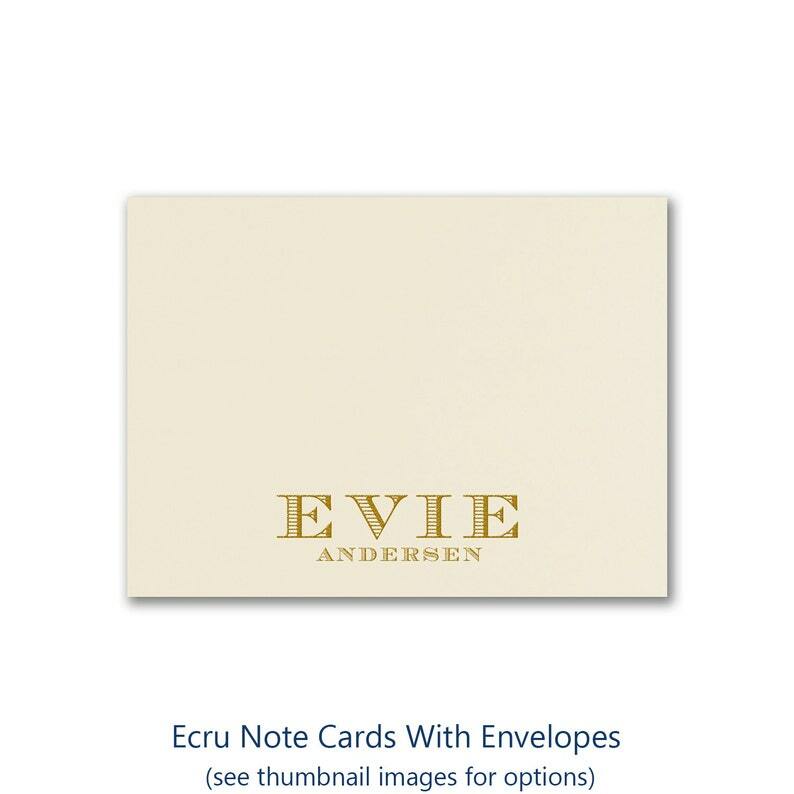 These large note cards of beautiful ecru paper are personalized in the color and style that's right for you. Also a lovely gift! Select the number of note cards you want in the "QUANTITY DISCOUNTS" section on this product page. ** After purchase a simulated proof will be emailed to your email address. Please review the proof for accuracy and reply to let Aisle Time know that it is all set to print or if changes need to be made a new proof will be sent with those changes.